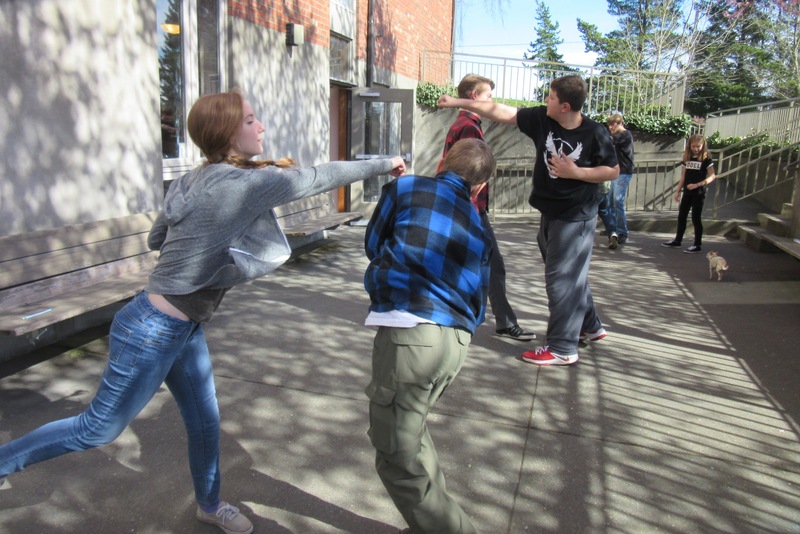 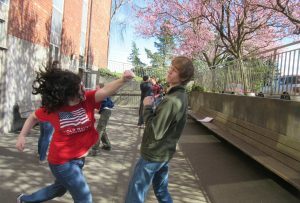 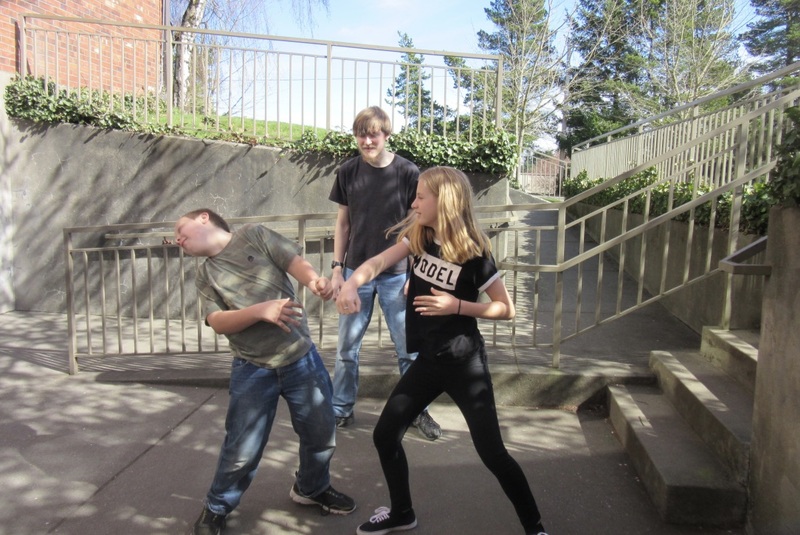 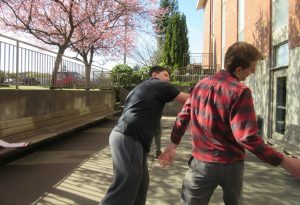 We had stage combat practice today, in preparation for the Trojan War. 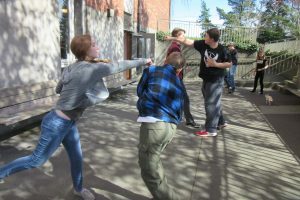 We also practiced sword-fighting with pencils, though pictures were not taken of that. 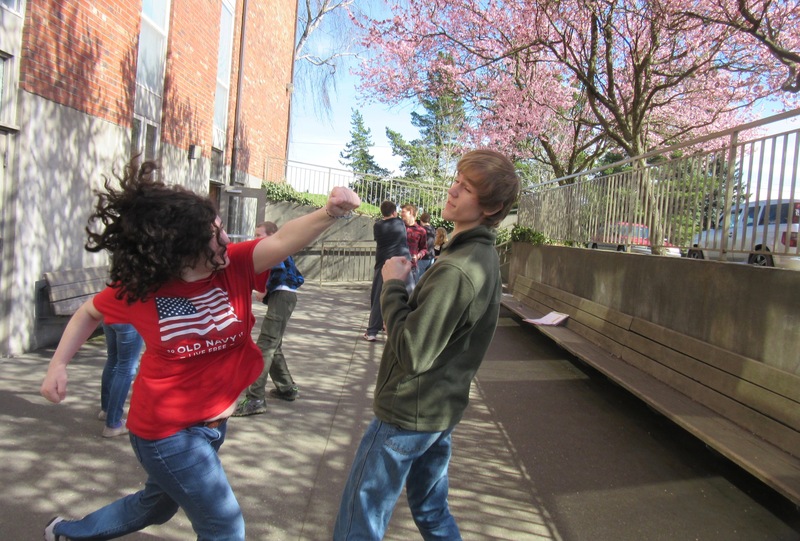 The pictures below showcase only the punching… we learned many more moves than that, including gut-punching, hair-pulling, foot-stomping, and face-slapping. Previous Previous post: The Dates Are Set!